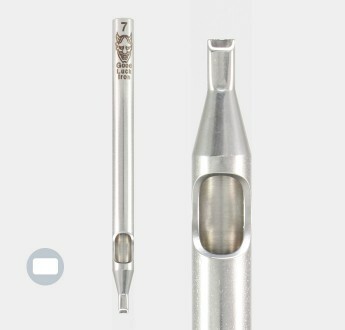 Long Taper Closed Shader - a design classic. 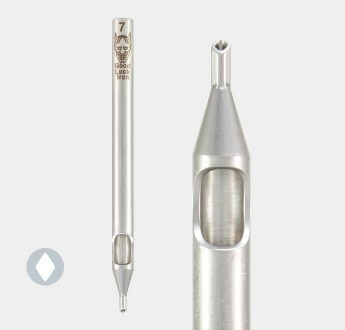 Ideal for all styles, from small to large scale tattoos..
Long Taper Diamond Liner Tube in surgical grade 316 Stainless Steel. 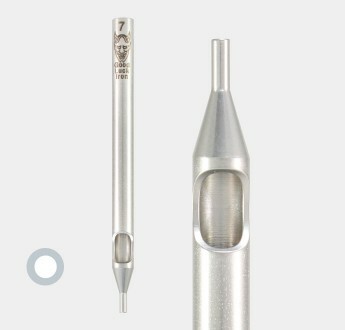 A design classic, with angle cu..
Long Taper Round Angle Cut Liner in surgical grade Stainless Steel. 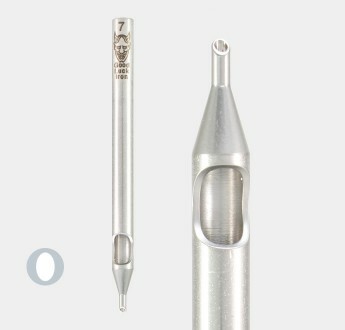 Ideal for line and detail work, ..
Long Taper Round Straight Cut Liner Tube, ideal for line and detail work. A design classic, in surgi..